Are you interested in a career in caring for seniors? Click here to watch a short video showing life-fulfilling benefits of working at a non-profit LeadingAge community like the Washington Odd Fellows Home. Thank you for you interest in becoming a part of the Odd Fellows team. You will find employment at the Odd Fellows both rewarding and an enjoyable experience. 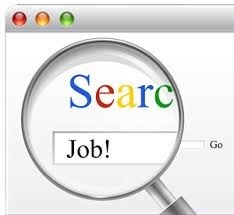 Below are several links to get you started on your new job. Some benefits are pro-rated for employees with at least half-time status. Pre-employment drug testing and background checks are required. Below are links to our application and reference check form. Please fill these out and either email them to Lisa Whited, or them drop by the Odd Fellows Home. You may apply in person at the Administration building during business hours and pick up a paper application form. The Front Office is open between 8:00 a.m. and 5:30 p.m. Monday through Friday, and 8:00 a.m. and 4:30 p.m. Saturday. We welcome you to join a team that celebrates the dignity of life at each of its stages with joy, respect, kindness and love. Our employees truly make a positive difference in the lives of our residents!